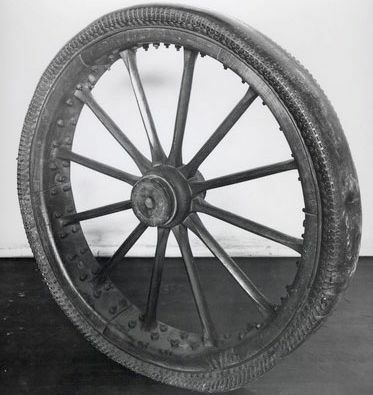 Stephen Perry, 19th Century UK vulcanized rubber entrepreneur and inventor, came up with the idea for a thin, circular band of rubber as a quick-fix for a number of applications. The first documented use of this invention was the dual purpose of shock absorber and muffler (too many squeaks) for wheels, although his patent submission (1845) cited multiple uses. Essentially, Perry’s brainwave was the forerunner of the rubber tire. 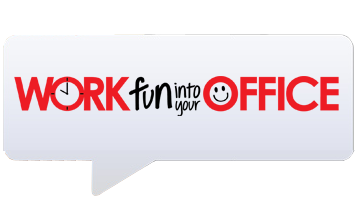 In classical antiquity, offices were only found in palace or temple complexes. They were most usually rooms in which scrolls were stored and the scribes who wrote them did their work. Although some archaeologists referred to these rooms as ‘libraries,’ they did not house works of fiction or poetry. Instead, they were central locations for record-keeping and the preservation of legal texts like edicts and treaties. The earliest erasers were shards of rough stone (sandstone or pumice) that, via abrasion, could remove ink from papyrus or parchment. Later, pencil or charcoal marks were erased from paper using tablets of wax or rubber—in a pinch, bread could also serve as a substitute. 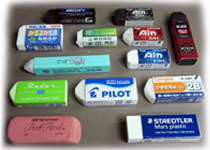 Finally in 1770, English engineer Edward Nairne submitted his idea for the first commercially marketable rubber eraser in an inventions competition. He claimed that he made the discovery by accident: he was reaching for his trusty breadcrumbs and picked up a piece of rubber instead. In September 1752 the Julian calendar was replaced with the Gregorian calendar in Great Britain and its American colonies. The Julian calendar was 11 days behind the Gregorian calendar, so there was a leap between September 14 September and the 2nd, creating a loss of 11 days. 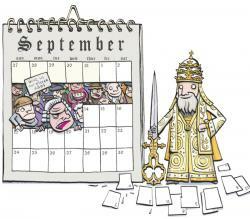 Protestant monarchs ignored the Pope’s new calendar and it was not until 1698 that Germany and the Netherlands (Holland) accepted the Gregorian calendar. Russia adopted the new calendar in 1918, China in 1949. 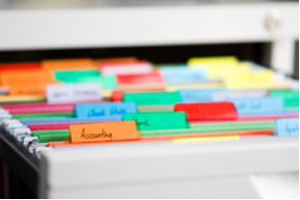 Louis E. Baltzley invented the binder clip in 1910 in Washington, D.C. Before this essential device, sheets of paper were held together by punching holes in the margins and sewing them together, making it difficult to remove a single sheet of paper. 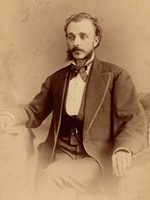 Baltzley invented the binder clip for his father, Edwin Baltzley, a writer and inventor, who needed to hold his manuscripts together. Lee Newman was the first to patent a felt-tipped marking pen in 1910, but the popularity of the writing instrument rose when Sidney Rosenthal unveiled the Magic Marker in 1953. This device consisted of an ink-filled glass tube with a felt wick. 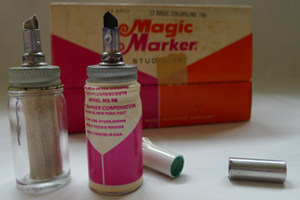 Felt-tipped markers became commonplace for a variety of applications, including lettering, labelling and poster-making. Then, in 1962, Yukio Horie of the Tokyo Stationery Company built upon the idea and developed the first fibre-tipped pen, which was similar to the marker, but with a finer point. 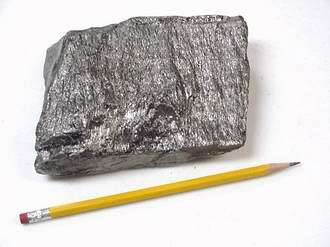 The initial discovery of graphite in the 16th Century in northern England heralded its first use as a way to make marks. Originally the graphite was sawn into sticks and was used to brand sheep. At this time graphite was mistaken for a form of lead, although it was later discovered that it was a distinct substance, the term ‘lead’ still persists for our wooden pencils’ cores and the replacements for mechanical pencils. 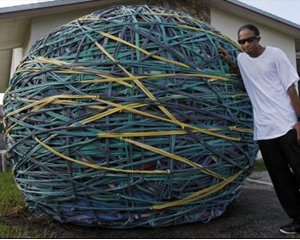 The largest rubber band ball weighs 4,097 kg (9,032 lb), was made by Joel Waul (USA) and was measured in Lauderhill, Florida, USA, on 13 November 2008. The measurement took place during the celebrations of GWR day 2008. 700,000 rubber bands of all sizes were used for the ball. Joel started making it on April 2004. The ball's name is 'Megaton". It is 6 ft 7 in high and it has 25 ft 4 in diameter. The telephone was not widely appreciated for the first 15 years because people did not see a use for it. In fact, in the British parliament it was mentioned there was no need for telephones because “we have enough messengers here.” Western Union believed that it could never replace the telegraph. In 1876, an internal memo read: “This telephone has too many shortcomings to be seriously considered as a means of communication.” Even Mark Twain, upon being invited by Alexander Graham Bell to invest $5 000 in the new invention, could not see a future in the device. approximately 9,984,670 sq. km / 3,855,103 sq mi. comprised of six time zones. over 8,850 km / 5,500 miles wide, from Atlantic to Pacific coasts. almost 30% larger than Australia. more than 3 times the size of India. more than 18 times the size of France. almost 20 times the size of Spain. almost 28 times the size of Germany. more than 33 times the size of Italy. almost 37 times the size of New Zealand. almost 41 times the size of the UK . Looking for more trivia? Play the Eco Quiz!